I t’s hard for older adults in Flamborough to get to senior-focused exercise classes. 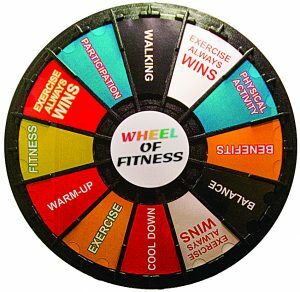 That’s why a grant from HCF is helping Flamborough Information and Community Services to expand the Wheel of Fitness, an educational exercise program that helps seniors from isolated rural communities get moving. There is a definite need. A key recommendation in the province’s Living Longer, Living Well report is to provide more services that encourage seniors to stay healthy, active and well-connected, including accessible exercise classes. Anyone can participate, regardless of medical conditions or financial circumstances. Pre- and post-participation surveys evaluate success and help seniors figure out their next steps.